Paris is basking under the celebrations of Christmas. The Seine is freezing and i am walking along its banks. I see numerous people selling handicrafts and some playing music on saxophones and flutes to earn their penny. Suddenly my ears are attracted by the sophisticated voice of a chubby man calling on us, ‘Allons messieurs, vin chaud, vin chaud‘ (Come gentlemen, mulled wine, mulled wine). I am not an avid fan of wines but the words ‘vin chaud‘, which my basic french skills tell me means ‘hot wine‘, pull me into the direction of that stall. I have never ever heard of hot wine, let alone taste it. Being a curious tourist i am not going to miss this opportunity. I wait eagerly as he pours some steaming wine for me out of a pot. To top it up he plops a slice of partially crushed orange into it which slowly sinks to the bottom of the glass. The first sip tingles different taste buds all over my tongue. I have tasted wine numerous times in my life – Red wine, Rose wine, White wine but none were like this. This has a more fruity taste to it with a hint of cinnamon flavour. I sip it very slowly and feel every bit of it flowing down my food pipe. I pair it up with a vanilla cigar and savour it as slowly as i can on the frozen banks of The Siene and in the backdrop of faint saxophone music. This inspires me to do some wine research. ”Vin Chaud‘ is usually red wine, mixed with spices and served warm or hot. It is a traditional drink during Christmas or Halloween. 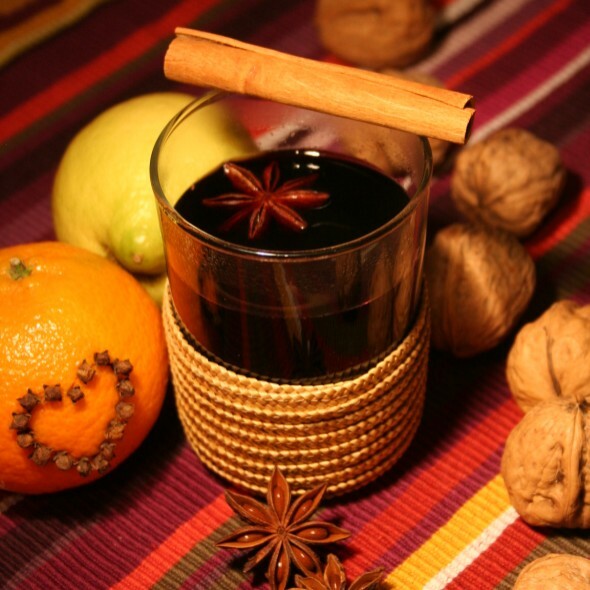 Any kind of wine can be mulled but ‘Port wine‘ or ‘Claret wine‘ are most common. 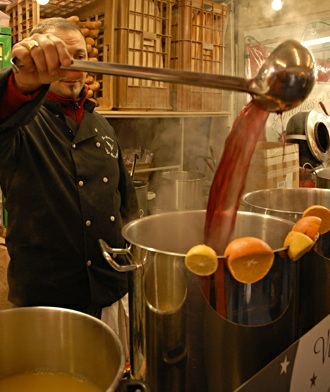 ‘Vin Chaud‘ is generally prepared by adding extra sweetener to it, which, according to the French cuisine should not be too much. Spices like cinnamon, cardamom pods and cloves are boiled in water to extract the flavor. Wine along with slices of a citrus fruit, either orange or lemon are added to it. It is stirred for couple of minutes. It should be simmering enough to generate little froth. It is served hot, topped up with a slice of orange or a lemon with cinnamon sticks in it. The warmth and fragrance of wine along with the music, art and romance in the aura makes me fall in love with this city and myself all the more. I did not come to Paris expecting to experience this feeling, but getting surprised in Paris is never a surprise. Will terrorism affect the way we travel? Very well written…..I could feel my presence in Paris as I read it. We were there last year and have since been trying to duplicate that taste – another experiment happening right now! The vin chaud was the most awesome flavor of Paris, I think. Given the mythology of Dionysus, it should be more expected 🙂 We've not been to Greece or Italy, but sampled quite a bit of wines along the Mosel in Germany last year, too. Of all the wines I've tasted so far, my favorite has to be the riesling by Martin Kroth in Bruttig.